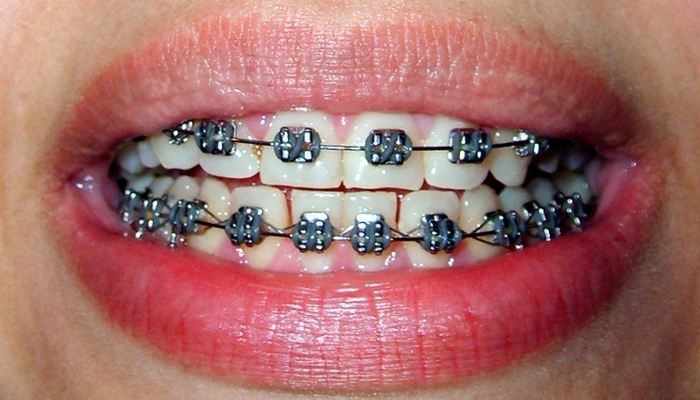 Wearing dental braces, and orthodontic band, or similar orthodontic treatment comes with its own set of responsibilities. In addition to knowing how to properly clean your teeth and avoid food that can damage your braces, you’ve got to know what is and isn’t normal for your braces so you can recognize emergencies that need immediate care. Luckily, braces are pretty straightforward and they’re also easy to see, which means there isn’t much chance that your braces will break without you knowing about it. Learn more about what to look out for and what to do if you have a loose bracket or your braces break. How Do I Know if My Braces Are Broken? 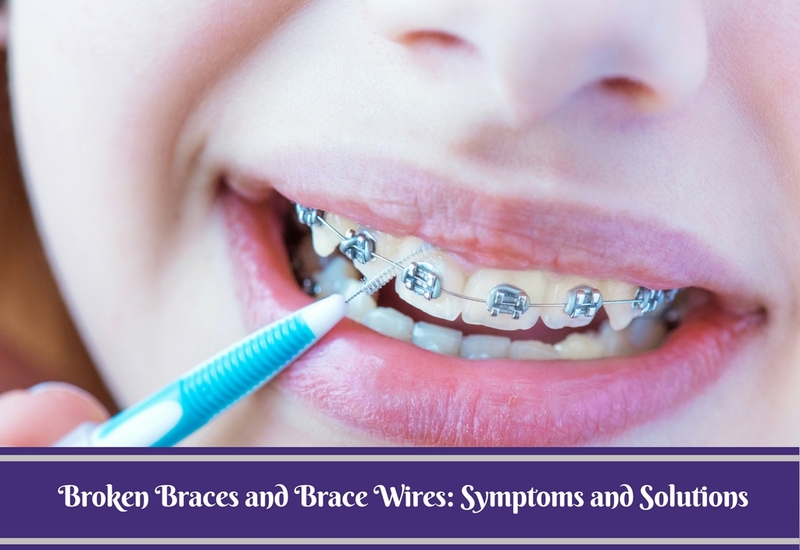 In most cases, it will be pretty obvious to you that you’re dealing with broken braces. You’ll probably be able to see the issue just by looking at your mouth. Missing brackets, wires sticking in weird directions, bands hanging off the molars at the back of your mouth… most issues with braces are pretty easy to spot with a simple look in the mirror. Someone else might even point it out to you before you notice yourself. But even if this isn’t the case, you’ll very likely feel that something isn’t right. 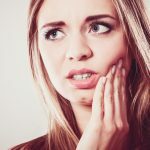 You may experience sudden discomfort or rubbing on your inner cheek or gums, for example, if one of the bands around your molars slips down on your tooth or a wire breaks and sticks out. Braces usually don’t break by themselves, either. 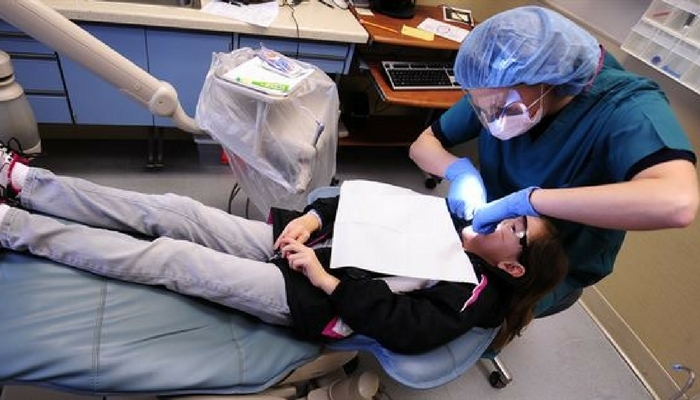 You’ve probably been told over and over by your orthodontist what you can and can’t eat. It can be hard to resist hard or sticky foods and candy, though, and if you find yourself chomping down on a caramel apple, you might suddenly feel a pop or twinge on your teeth. This is a potential indicator that you’ve broken your braces. Check in the mirror and take a look. If anything looks out of place, you can probably guess why. This is another reason why it’s kind of hard to miss the signs of broken braces: it’s usually the result of something the person wearing the braces decides to do. Though braces don’t tend to break by themselves, it is possible. In these cases, it can be a bit harder to tell, especially if there isn’t any pain and it just looks like a bracket or wire might be slightly out of place. One potential way to avoid these issues is to take a picture of the braces on your teeth every time you get an adjustment. This gives you a quick visual reference to use in determining whether anything is wrong or you’re just noticing something you hadn’t really taken a close look at before. Can you repair your broken braces? Maybe you can, but should you? Probably not. If you can pop something back into place to alleviate some discomfort, do so—but do it gently. Don’t force anything. If you can’t poke it back into place quickly with a finger, just leave it alone. Use orthodontic wax to cover anything that’s irritating the inside of your mouth and make an immediate appointment for emergency care. If you’re a kid and you aren’t sure who to call, go talk to a parent and get their help. There may be some guides to fixing these problems yourself online, but it’s really not a good idea to follow this advice. Qualified orthodontists know how risky it is for untrained people to do this kind of repair on their own. If you to try to fix it, at the very least you should NEVER put any tools in your mouth. This means no pliers, no knives, no scissors, no wire cutters, no power tools… nothing. All it takes is one slip with a pair of pliers and you’ve stabbed your tongue or chipped a tooth. Then you’ll have two dental emergencies on your hands. There really isn’t much benefit to outweigh the risk of attempting repairs on braces yourself. This isn’t a DIY project so focus instead on making yourself comfortable and getting into a dental urgent care office as soon as you possibly can. In most cases, you should go see an emergency dentist for repairs whenever your braces are broken. There are some minor issues, like a broken elastic band or a wire that’s broken but not bent, that can be OK to wait out for just a day or two. If your next orthodontist appointment falls within the next 48 hours, minor issues like this aren’t as much of a concern. 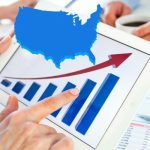 Big issues, however, need to be addressed immediately. This includes missing brackets, displaced bands, bent wires poking into the gums, or anything that’s causing your teeth a lot of unusual pain. Think about it this way: braces are like a guide for the teeth. Braces push and pull the teeth in a specific direction, and they accomplish this by having all their individual parts lined up just so. If something gets knocked out of place or bent, it can change the direction in which the teeth are being pulled or pushed. 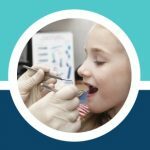 This can have negative consequences on how effective the braces are and can even cause permanent damage that has to be undone with even more orthodontic treatment. As you can probably guess, this gets expensive over time, much more expensive than the potential cost of an emergency dentist visit. 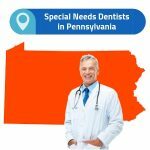 If your orthodontist can’t see you for several days after you experience significant damage to your braces, you should seek out urgent dental care to alleviate the incorrect pressure on your teeth.